Three adventurers return to prehistoric times, found a country, and then try to establish diplomatic relations with the United States. This story has a very clever premise. The execution is a little bit flat and ends without much resolution, but I still find it an interesting episode. My mind is now wandering all around the subject of founding a country in time as well as place. 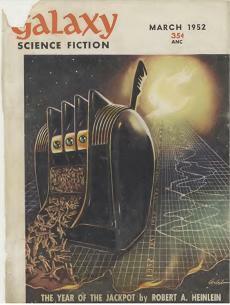 The story first appeared in Galaxy, March 1955. You can read it for free at Project Gutenberg. A more modern version of this idea was used for the TV series, Terra Nova, in which refugees from a pollution-choked, overcrowded future establish a new country in the age of dinosaurs. During WWII, British intelligence agents hatch a scheme to distract German scientists working on the rocket program with a red herring inspired by a science fiction magazine. This is a great episode. It's a plausible idea, has lots of witty inserts, and manages to throw in a surprise or two. The script is an original by staff writer Ernest Kinoy, who got the idea from an editorial printed in Galaxy. A mechanical alien from the planet Zanthar (good name for a planet, or a prescription drug) chooses a human professor to study in order to determine the Earth's suitability for invasion. The good professor seeks to humor his unwanted guest while he figures out a way to halt the alien's nefarious plans. The real plot of the story is how to defeat an opponent who can read minds. How would you beat such an opponent? Not one of my favorites, but an interesting academic puzzle. The story first appeared in Galaxy, March 1952. You can read it here. A man wakes up to find it is June 15th, just like it was yesterday and the day before. A tunnel under the world may hold the answer to why. This story would pair up fairly well with The Parade, since it relates to our own focus-group crazy, ad-saturated world. 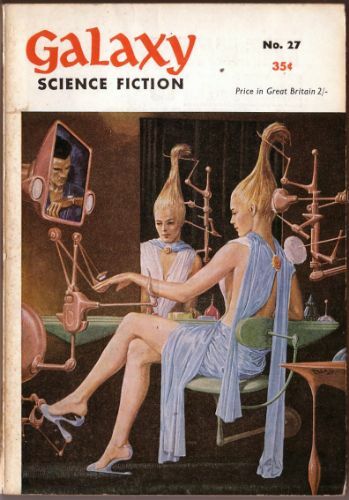 The story was first published in Galaxy magazine, January 1955. The legendary Pappy French has fallen in, and then fallen out, with a crew of bank robbers. Paladin finds the old coot and they make a run to retrieve the stolen 50k. This episode has some great voice acting and some good dialogue. The more I listen to these Have Gun, Will Travel episodes, the more I think of Paladin as an impartial observer. Paladin has rules. His moral code comes first, then the contract, then the well-being of innocents, then his own well-being. That's all he cares about. Within those confines, he just lets things play out. If circumstances threaten one of his core values, he reacts decisively, otherwise he watches and waits for things to go the way they will go. The script was used on the television show on June 14, 1958. The soldiers, cooped up in the garrison for weeks, are getting into trouble and suffering from scurvy. Sixteen men make a stealthy run for fresh buffalo meat but bring back trouble instead. This one has the potential to be great, but I feel like it goes a little south at some point. (Spoiler) The idea of a soldier desecrating an Indian grave and starting a war ... seems good right? There is some pretty good dialogue in this one, but I think some of it could have been sacrificed for more weighty matters and the final scene between Captain Quince and the chief seems a little contrived. While riding patrol the cavalry comes across a woman burying her husband. The troop is concerned about her safety and decides to make a gesture. But charity doesn't come easy to some! Wow. This is one of the most hard-hitting episodes of Fort Laramie I have listened to so far. The subject matter is dark and bitter. When the standard theme music kicked in at the end, it felt totally inappropriate. I sort of just wanted the show to trail off, leaving me entirely dissatisfied with how things turned out (but in a good way). Notice the writer of this episode is a woman. Why is that important? Because of the subject matter - and I can't tell you to much about that without ruining the show. I distinctly remember going "wow" from shock once in the middle of the episode, once at the end when the whole show wrapped up and it all sunk in, and yet a third time when they announced the script writer. 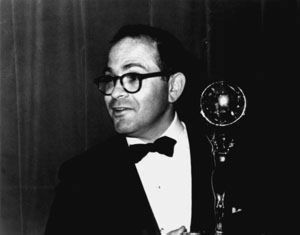 Turns out Kathleen Hite wrote a hundred or more scripts for vintage radio. I'll definitely be keeping an ear out for her stuff in the future. Two gunmen murder a pair of young buffalo hunters and steal their cartload of hides. 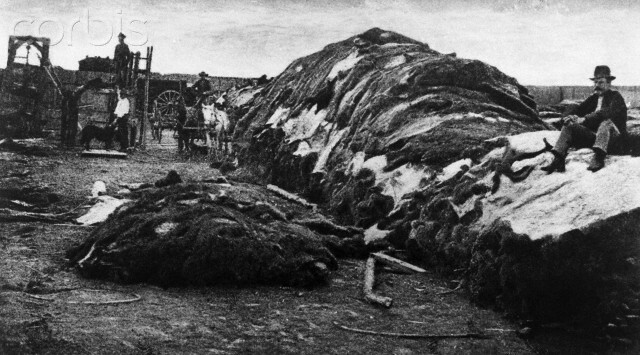 Unknown to them, the stack of hides contains the pelt of a rare albino buffalo. Matt races to find the gunmen before they discover and discard the hide which marks them as the killers. This is a solid episode that packs a lot of story into 30 minutes. 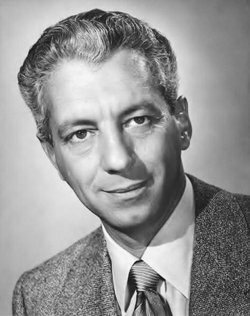 1950's listeners must have been thrilled to get so many shootouts in one show. A couple of rowdy Texans grab Chester and drag him behind their horses. The Marshal loses his cool a little and goes after them ... without his guns. This one is a favorite of Gunsmoke listeners because of the focus on the main characters. It definitely gives the listener a hard look at Matt. Especially when he bites off the head of a few would-be helpers. 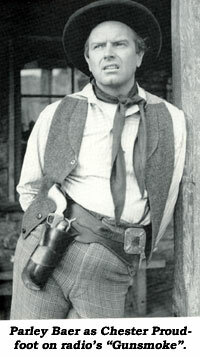 The script was used on the Gunsmoke television series on November 16, 1957. A beef between two ventriloquists becomes violent when one performer's dummy seems to have thoughts of his own! This is a great, creepy start to a fantastic series. 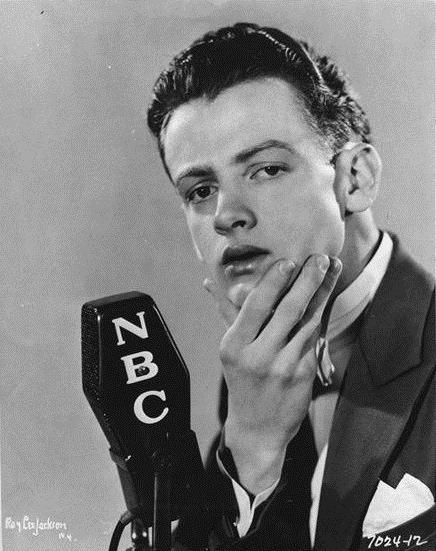 You may remember Art Carney as Ed Norton from The Honeymooners. 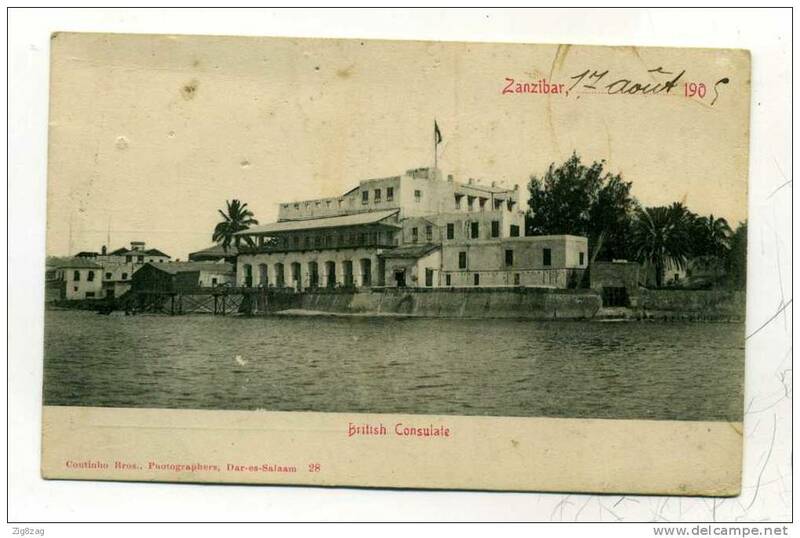 The Germans are constantly conniving to wrest control of Zanzibar from its British "protectorate," and now it seems a new witchdoctor is riling up the local tribes against the British too. Is there a connection? A fairly poor treatment of an interesting setting. Paladin investigates stories of a half-man-half-beast monster that inhabits Moon Ridge. Perhaps it is not surprising this story was written by Star Trek creator, Gene Roddenberry. It ends with an interesting philosophy that is probably as much or more Roddenberry than Paladin, who delievers the line: "Ignorant and prejudiced people like to be deceived, and they deserve it when they are. Why confuse them with the truth." 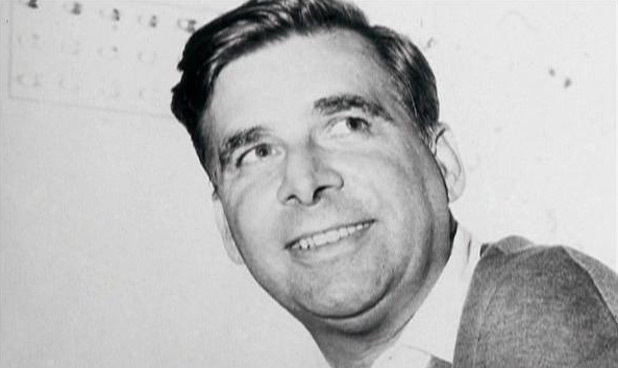 Roddenberry's often expressed barbed thoughts on distinguishing myths from reality. He once said, "Ancient astronauts didn't build the pyramids. Human beings built the pyramids, because they're clever and they work hard." He also took a fairly hardline stance on religion: "We must question the story logic of having an all-knowing all-powerful God, who creates faulty Humans, and then blames them for his own mistakes." And, "For most people, religion is nothing more than a substitute for a malfunctioning brain. If people need religion, ignore them and maybe they will ignore you, and you can go on with your life." 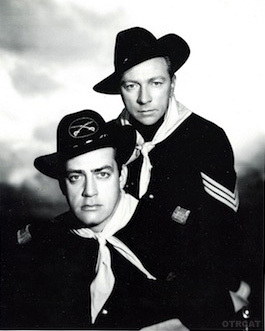 The script was used on the Have Gun, Will Travel television show on February 28, 1959. Sponsored by: Fitch Shampoo, Rambler Ambassador. The Los Angeles Dodgers sign a real Martian as a left-handed pitcher. He's got lots of arms, and one of them is thirty-two feet long! The Brooklyn Dodgers moved to LA right before the 1958 season, so this episode was being a little clever - a fact that is mostly lost on modern listeners. The story is so-so, but the voice talents are quite entertaining, as is the unusual mash up of baseball and science fiction. Remember in the 50's when the increasingly gridlocked roads were dismantled and replaced with a series of high speed conveyor belts? Well, this show is about the time the engineers' union went on strike and tried to cripple America's infrastructure. 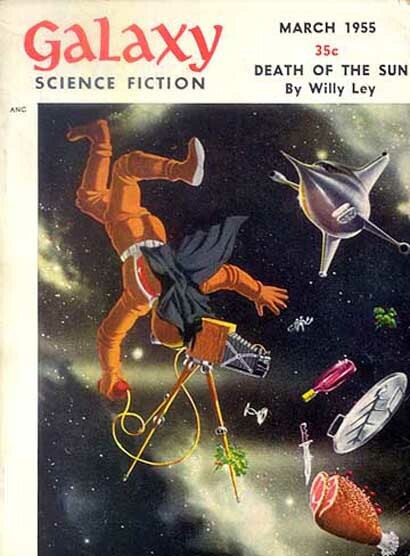 Heinlein was a complicated and sometimes controversial author. In Starship Troopers he theorized a civilization where suffrage is based on military service. In The Moon is a Harsh Mistress he created a quasi-utopia run by an intelligent computer and polyandrous matriarchal families. In this one he seems to be expressing anti-union sentiment and postulating that society would be well-served by psych-profiling employees. Frankly, I can see elements of both Troopers and Harsh Mistress in this one. It's interesting, if a little goofy by today's standards. In case you were wondering, here is a little history on the idea of moving walkways as a form of public transportation. 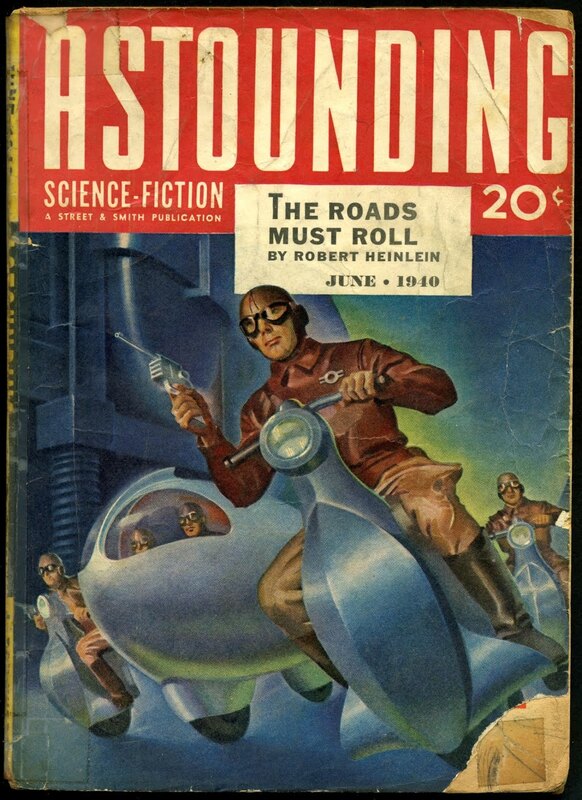 The Roads Must Roll first appeared in Astounding Science-Fiction, June 1940. Johnny flies to San Francisco to investigate the sinking of the freighter, Molly K. The captain’s story is fishy from the get go, but establishing evidence when most of it is at the bottom of the harbor may prove too difficult. Les Crutchfield! Now I know why I like this series so much. Crutchfield's scripts, whether he is spinning old west stories for Gunsmoke or tales of adventure for Escape, never disappoint. This one is a tight investigative procedural with a great sense of place. It doesn't hurt that I just spent the weekend in San Francisco last month. 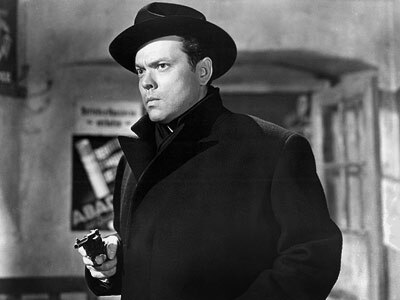 The series opens with the theme from the movie The Third Man, interrupted by an echoing gunshot and the lines "That was the shot that killed Harry Lime. He died in a sewer beneath Vienna, as those of you know who saw the movie The Third Man. Yes, that was the end of Harry Lime ... but it was not the beginning. Harry Lime had many lives ... and I can recount all of them. How do I know? Very simple. Because my name is Harry Lime"
In this inaugural episode, a banker in Budapest hires Harry to thwart a heist. The story is long on double crosses and witty dialogue. While I have heard others rave about this show, the charm hasn't fully revealed itself to me yet. A lot of the action is off-screen and narrated by Lime himself. For me, this means it shorts the listener of the best thing about vintage radio drama - developing a story as a soundscape with a full cast and creative effects. An old case of stolen jewelry is dusted off when a prison inmate talks in his sleep. 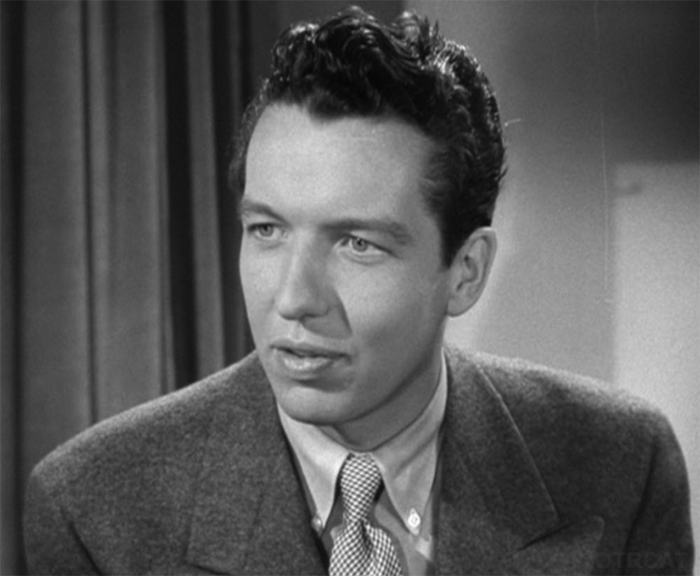 This is Bob Bailey's debut as Johnny, the beginning of one of the most celebrated and adored runs in vintage radio drama. The dialogue is sometimes a little awkward, but as the show plugged along I started to like it. The characters felt a little more realistic, or at least less scripted, because they lacked that 50's glibness. The story has lots of turns. Some I saw, some I didn't, but in true detective fiction fashion, Dollar just keeps blundering on and turning over stones until the case breaks. The captain reluctantly decides to spend a bit of time looking for a "winter soldier" who joined in the cold months and deserted at the first turn of spring. They find him and a lot of trouble at the same time! Fort Laramie is really growing on me. Honestly, the subject matter is tough for me to think of as entertainment because it highlights a fairly bitter element of U.S. History. 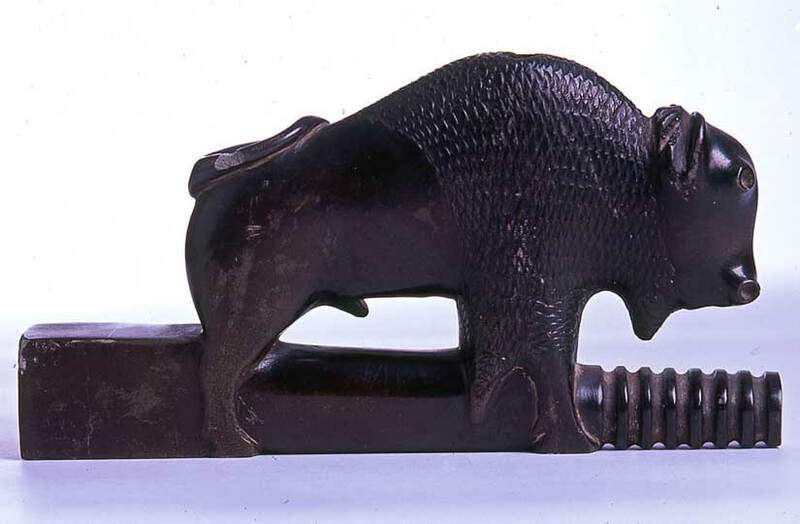 Having pushed Native Americans west for decades, the frontier wars were really about seeing through the process of invading America to the bitter end. (Americans like to think of themselves as the "colonizers" of America, but "invaders" is really a more appropriate label.) 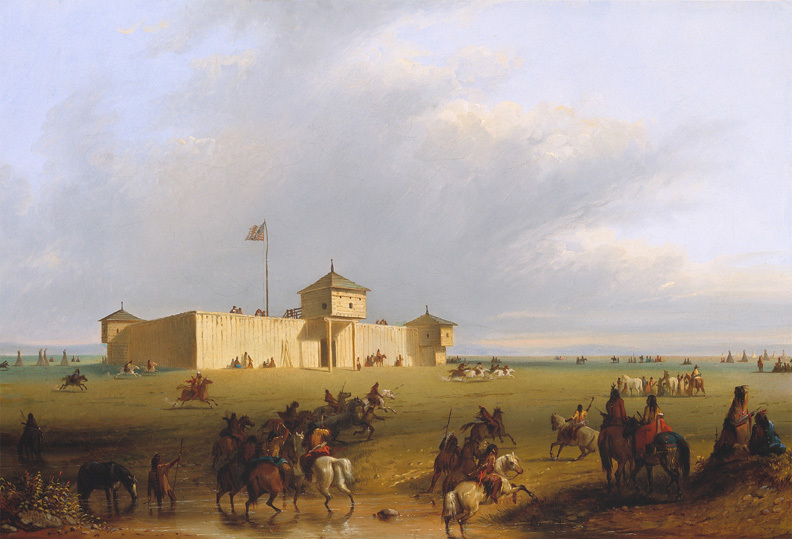 By the time period depicted in Fort Laramie, the relations between the U.S. Government and Native Americans were permanently soured. The indigent populations in question were disaffected, displaced, and disgruntled. What I like about Fort Laramie is that it takes a stoic approach to this problem. It doesn't try to paint a saccharine portrait of clean-cut cowboys vs. heathen Indians that one often sees in 1950's films, nor does it try to address the underlying racism and Machiavellian politics directly. Instead, Fort Laramie simply tries to chronicle life among a particular frontier troop and how it went about doing its job. Dealing with winter soldiers, raw recruits, newspaper reporters from back East, etc. are all more of a focus than the Native American issues. What arises is a fairly bleak image of hard men doing a hard job. And that is something to like, actually. We get to imagine, along with the cast, what we would do in such situations. Whether we would have the mettle to endure and to make hard choices with integrity. Whether underneath all the strife we would find opportunities to be "human" - to joke and have fun, show mercy and compassion, harbor dreams of a life beyond frontier wars. Note that the audio file seems to have suffered a little "damage" somewhere along the line. It is perfectly clear, but the voices are slightly sped up. I thought about trying to time-correct the file but I'm not confident enough in my skills and don't want to do more harm than good. Once you get over the slight chipmunk-like quality to the voices, it's a good listen. The troop is cleaning up after a derailed train kills dozens of passengers when it comes upon a young man who wants to be a trooper. The Captain is skeptical, the recruit seems too young, but others have already sworn him into service. Will he stand the test of his first encounter with a war party of Native Americans?